……or design bed as the case is today. 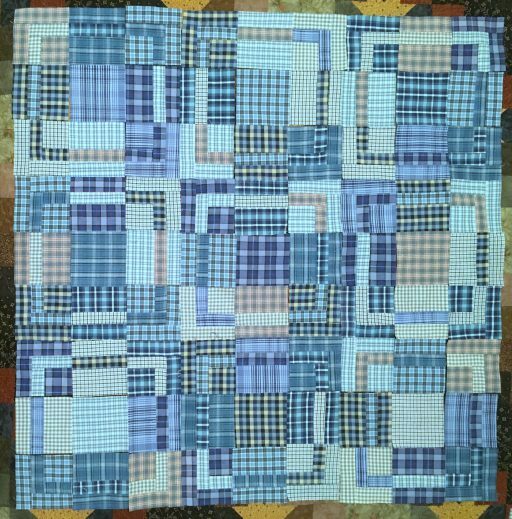 This is a framed nine patch from Jan’s tutorial here made with a bundle of fat quarters. This is a scrap club project that I think I’ll want to make a little bigger with borders of some kind. We’ll see. What the heck???? 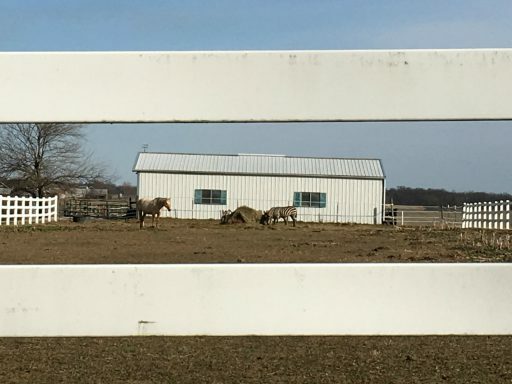 Where do you get a zebra in southern Illinois? I did a favor for a friend and she gave me a gift certificate to Hancock’s of Paducah……which explains why this was on my doorstep when I got home tonight. Beefing up my neutrals and a beautiful purple piece 🙂 Gotta love the Hancock’s yellow/green florescent shipping bags 😉 Thanks, Margaret!! Linking up with Judy’s DWM post. A zebra?!?!??! Cool! 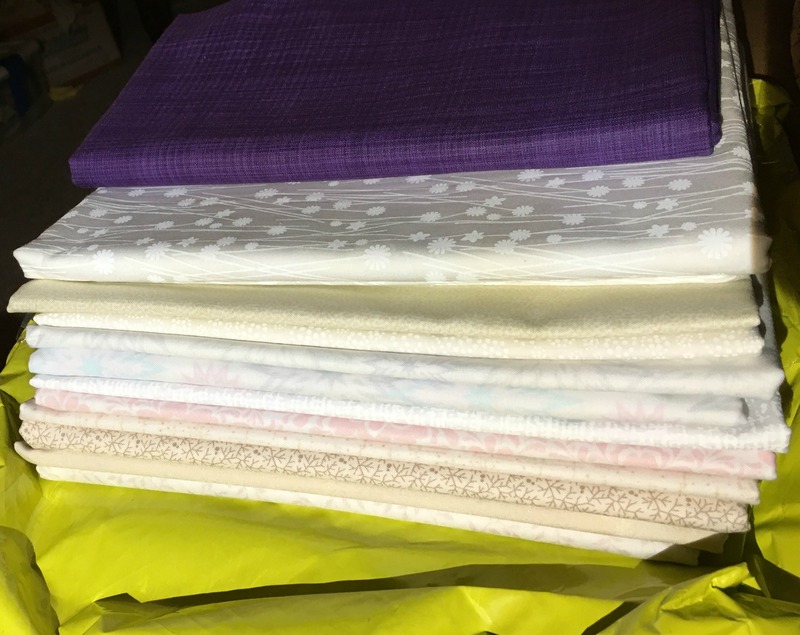 Awesome batch of neutrals and a gorgeous purple. Must go look at Jan’s tutorial . . .
OMG, I love your plaid Framed Nine Patch!!! Tea sent me a link to the video of it she made for scrap club, so I got to see her version in action, too. I just love how your plaids all work together. 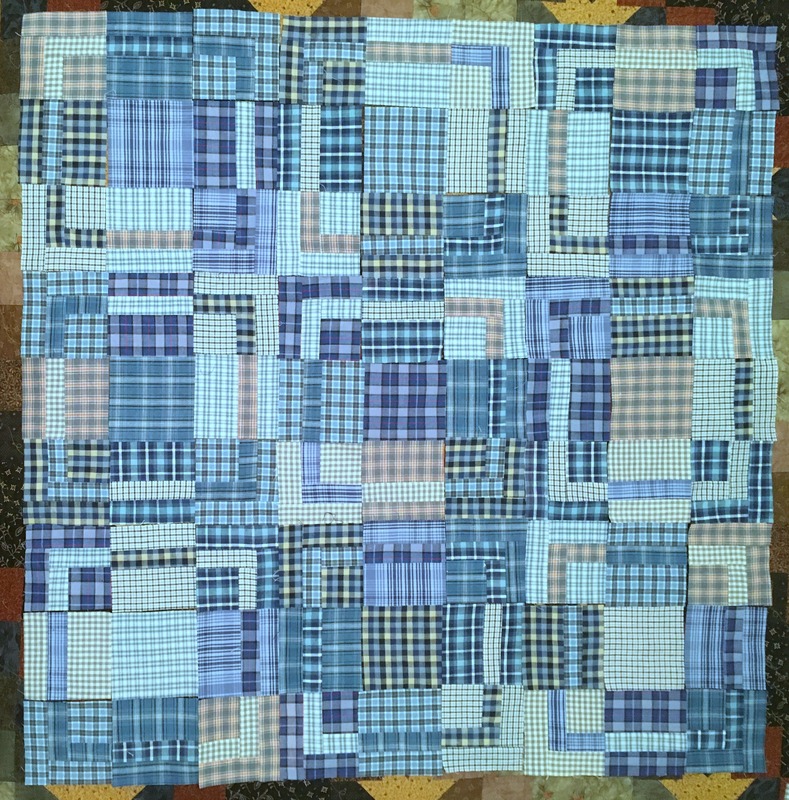 How about a narrow indigo stop border, then a scrappy plaid outer border? 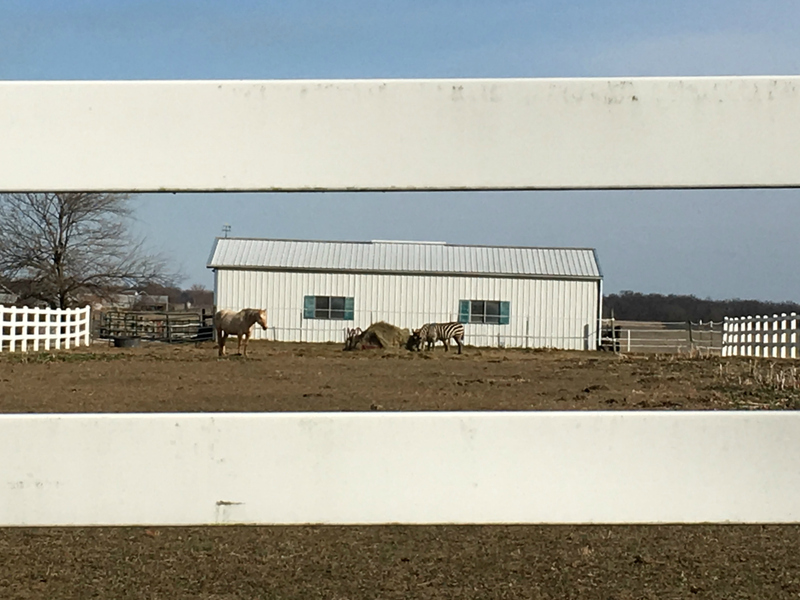 PS – your next barn quilt will have to feature a zebra instead of a chicken! I love the framed nine patch–and your collection of blue plaids. Hmmm, where DID they get the zebra??? Love your quilt! It’s on my bucket list to make. Thanks for the advice about deboneing shirts. I’ve have deboned most of them. Now I need to use them!! You do love those plaids, don’t you! I have to say you do amazing things with them. That zebra, though!! !